MoJo Promotions supply a wonderful catalogue of personalised advert products, all created to be custom printed with your logo. Advert Products provide a first class way to make clear your company name. The value of personalised advert products is sure enough to ensure your marketing wishes are met. 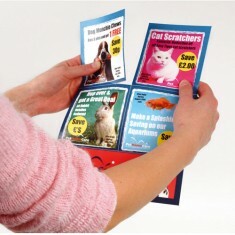 Our variety includes - Magnetic Sheets as well as many more. All of our items can be personalized to suit your intents, please contact us for more information. Display your message on a fridge or steel wall with our custom printed Magenti..